The year was 2012. On a whim and a nudge from my friend Leah Jantzen I embarked on the journey of an internet radio show entitled “The Coming Out Lounge.” 26 shows later I decided I was done, but, as with most good things in life, I wasn’t done, I was only just beginning. Two years later, at Jonathan Fields Good Life Project Camp, the first one, I met John Lee Dumas of Entrepreneur on Fire and the flame to be a podcaster got ignited. That flame started burning bright and stories of coming out, losing in love, struggling in business, thriving in chaos, landing in unexpected success, and many many more stories led to this moment. A moment where 300 stories have been told. Today I celebrate everyone who has been a guest, a support, an idea, a spark for a conversation. Every one who has made a bold move to live their life uncloseted. I thank each and everyone of you, and especially want to thank you my listener for your support and continuing to bring me into your world. And I can’t say thanks without thanking my family – my husband George, and my two daughters Shelby and Riley for always believing in me. 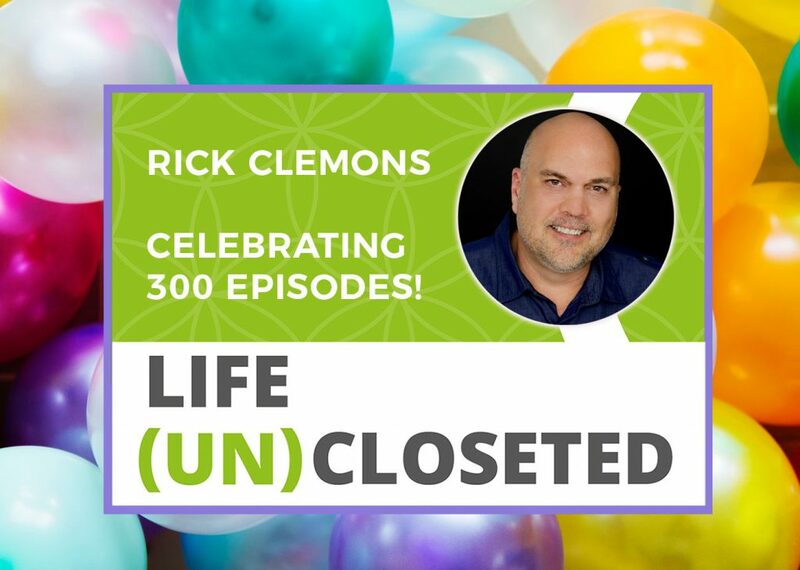 So let’s get to the show and listen to over 50 voices sharing their bold moves as a celebration of Life (UN)closeted! It was so fun to be part of your celebration, describing mine! Thanks and congratulations.